With the Right to Know labeling movement in full swing, GMOs are making headlines in every major website and newspaper in the U.S. However, genetically engineering food isn’t the only way that industry is trying to sneak their modified plants into our lives. 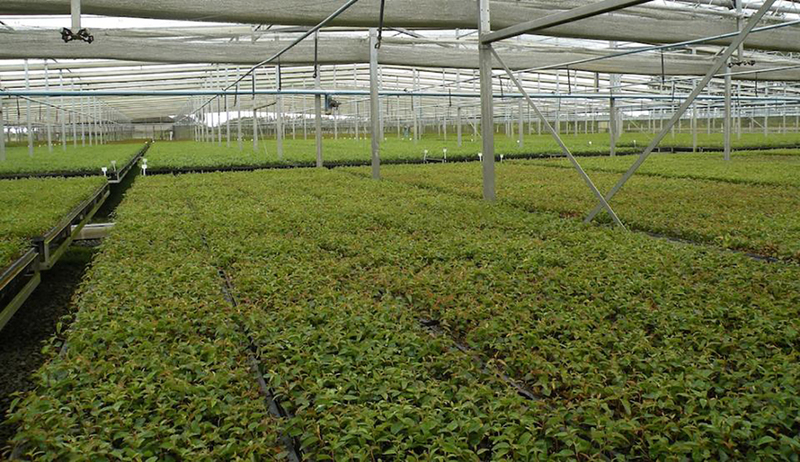 Companies like ArborGen, jointly owned by International Paper and MeadWestvaco among others, are pressuring congress and the USDA to give them permission to release billions of GE eucalyptus seedlings in vast plantations across the U.S. Teamed up with another false solution to climate change, bioenergy, these GE trees, also called GM trees or GMO trees, could invade our natural forests, altering them forever. Not to mention drying up ground water and causing massive firestorms. It is time to say no to corporate greenwashing and no to genetically engineered trees. To prevent GE trees from contaminating natural forests, the Campaign to STOP GE Trees is circulating a petition demanding the USDA ban ArborGen and other entities from selling/distributing GE trees and creating “frankentree” planations across the U.S. The USDA is set to make a draft decision any day now. The more signatures the Campaign gets, the greater the chance we have to stop GE trees. To Whom It May Concern, I demand that all petitions by GE tree company ArborGen to plant or sell their genetically engineered eucalyptus trees be rejected. In addition, I demand that all petitions to release dangerous GE trees into the environment be rejected as they are inherently destructive and the full extent of their social and ecological risks has not been assessed. Further, I demand the USDA ban planting GE trees and all such plantings of GE trees be banned outright. This week’s Earth Minute addresses the UN climate talks in Doha, Qatar, and why many climate justice organizations have decided not to attend this year’s climate conference, and are organizing with social movements and communities instead. This week’s Earth Segment features Marty Cobenais of Indigenous Environmental Network giving IEN’s perspective on Obama’s Keystone pipeline reversal, and Jim Thomas of ETC Group on the threat to communities of synthetic biology, and the upcoming public forum Unmasking the Bay Area Bio-labs and Synthetic Biology: Health, Justice and Communities at Risk. This week’s Earth Segment featured GJEP Executive Director Anne Petermann discussing the new synthetic biology lab that is scheduled to be built in Richmond, California, and the concerns about this extreme genetic engineering technology. To listen to the segment, go to the link below and scroll to minute 8:40. Global Justice Ecology Project partners with Margaret Prescod’s Sojourner Truth show on KPFK–Pacifica Los Angeles radio show for a weekly Earth Minute on Tuesdays and a weekly 12 minute Earth Segment every Thursday.